When we hear the word “Apple”, we can’t help but think of the newest iPhones, MacBooks, and iMacs. The words community, gatherings, and creative forums hardly come to mind. But it looks like things are about to change since Apple’s keynote event this September. As of September 12th, 2017, the internet has been buzzing with news about the iPhone 8 and iPhone X. Since then, everyone has been sharing their opinions on why you should or shouldn’t get the latest iPhone. Even before the reveal of the first iPhone, Apple has always tried to shape the future through every new iteration of their devices. But the announcement of “Apple Town Squares” and “Today at Apple” hint at a new approach. The reveal of Apple Town Squares signifies Apple’s attempt at integrating itself into a community lifestyle. Apple Town Squares act as a gathering hub for people to meet up, relax, and even enjoy musical performances from local artists in the plaza. Equipped with creative forums where people can create and collaborate, Town Squares will also have boardrooms for meetings and sessions with Apple geniuses. 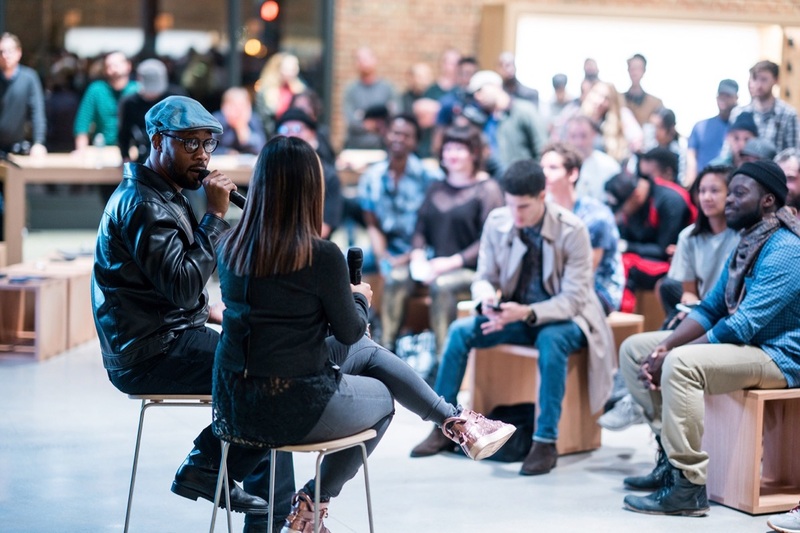 To go with all these new spaces, Apple also announced “Today at Apple” – An in-store experience designed to inspire customers to go even further with their passions. Think of it as Apple workshops, but now with the added subjects of music, coding, photography among others. As far as workshops go, Apple isn’t the only one catering to their customers. Other tech companies like Google and Samsung also host workshops of their own. Google hosts a bunch of coding courses taught online, while Samsung has been operating “Experience shops” within Best Buy outlets in various locations. Neither of them, however, have dedicated locations that tailor to their specific clientele. Microsoft, on the other hand, seems to be the only other tech company to host active workshops within their retail stores – even including game tournaments. Although Microsoft workshops teach their customers how to easily navigate their software, as well as use Microsoft devices to create content, it is unclear if Microsoft will be expanding their variety of workshops to the extent Apple intends to.